The 303 may be regarded as the first true bmw. The first bmw, the 315, was actually inherited from dixi and was an austin seven made under license from the british automaker. 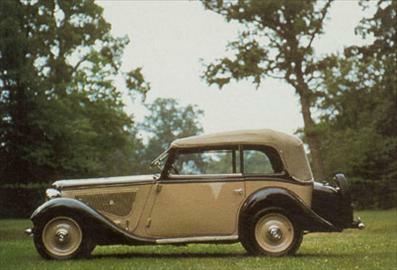 The successor 320 was similar to the mercedes-benz 170 and owed much to the close links between the two firms at the time. First bmw six the 303 was bmws first six-cylinder model and also the first bmw to display the twin-kidney grille that the marque retains to this day. It was the cheapest six-cylinder model on the market, but no more than 2,300 were made. The bodies, produced by daimler-benz, were influenced by chryslers as well as european models of this period. The overhead-valve, 1.2-litre 4-cylinder engine offered only modest performance. first series three bmw the remedy was to make the engine larger, and so bmw in 1934 introduced the 1.5-litre 315 model, with both the bore and stroke increased and the hp raised from 28 to 34. Top speed increased from the 303s 56 to more than 60 mph, passing the magic loo-km.-per-hour mark. The 315 also inaugurated a type of designation that bmw continues to use. The 3 indicated the series of model and the 15 the size of the engine 1.5 litres. The 303 was bmws first six-cylinder model, its first with the twin-kidney grille and the cheapest six-cylinder on the market.